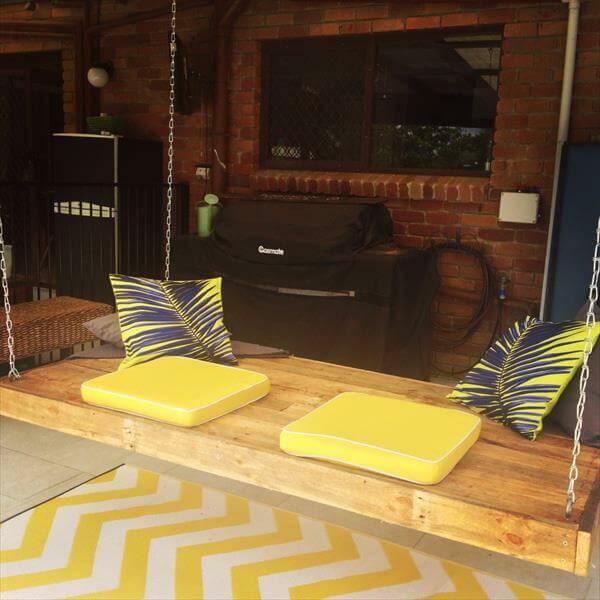 The perfection, safety with fashion sensation and unbeatable durability are the specialties of our DIY pallet tutorials. 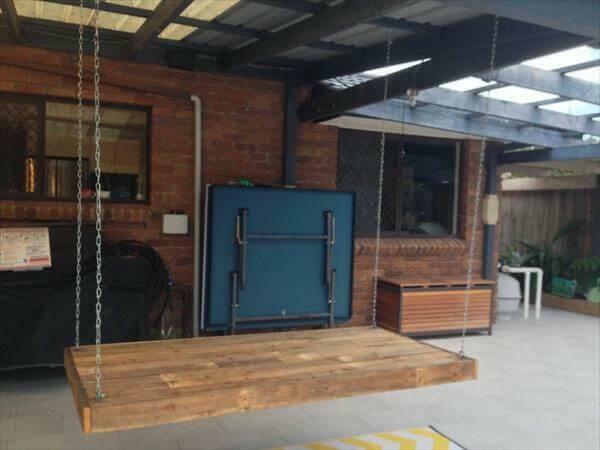 We have made this royal enlargement of DIY pallet daybed or Pallet Swing to our DIY pallet furniture products. The bed for lazy afternoons is firmly and enchantingly supported with durable and long living chains for metallic loop hooks firmly plugged in the wooden design. This would be a smashing thought for reading books and relaxing hours after routine tasks. The plan bed design has been regained from pallet wood and has been made lush and shiny with electrical sanding and varnishing. 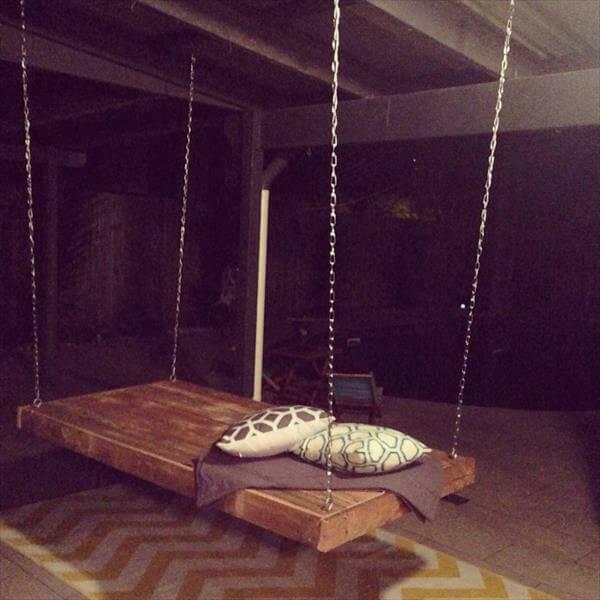 The whole DIY daybed has been hanged with the roof. Some pillows and a cushion or mattress will work great to provide you high class and royal feel of comfort.